What do you get if you throw a bunch of teens, magic and marijuana in a pot? 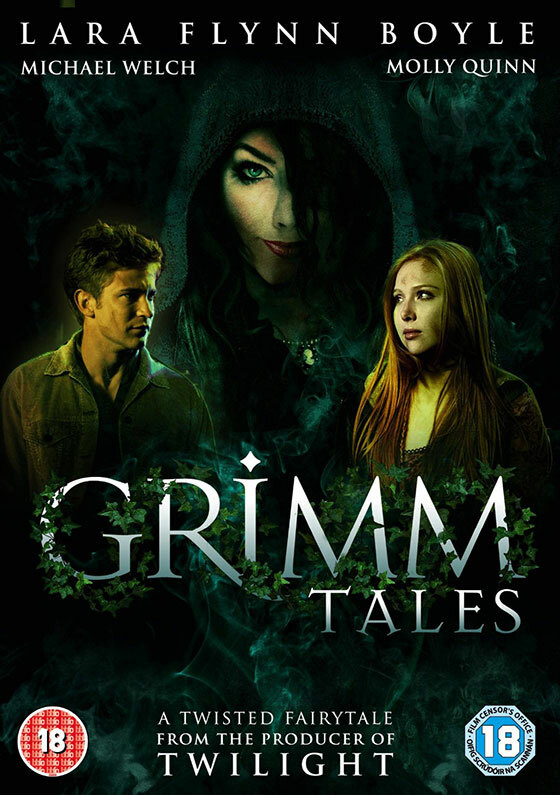 It comes out as GRIMM TALES (a.k.a. Hansel And Gretel Get Baked) in this twist on the Grimm fairy tale Hansel and Gretel. Gretel and her pothead boyfriend have come across a new type of pot 'Black Forest' which he has purchased from the local old lady Agnes. Little does everyone know but Agnes is in fact a witch enticing those who want to chase the dragon into her home, getting them high and thus killing and eating them allowing her to become young and beautiful. Gretel's boyfriend later goes missing, making her go on a mission of her own after the police don't believe her story, to track him down and bringing her back to Agnes's house for the final encounter. Director Duane Journey has managed to pull together an impressive cast, Lara Flynn Boyle (Twin Peaks) as Agnes, Molly Quinn (Castle) as Gretel and Cary Elwes (Princess Bride, Saw) guest starring as the bizarre looking meter man. 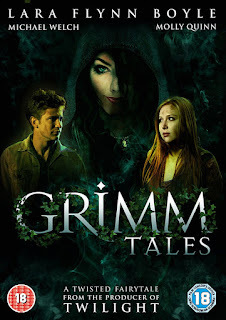 The film follows the Grimm story pretty well and gives it a modern touch. Though some things are left unanswered such as why was Agnes a Nazi refugee? Why is she now in the business of growing marijuana? This on its own doesn't ruin the film as it is a fun ride as we follow the rainbow.